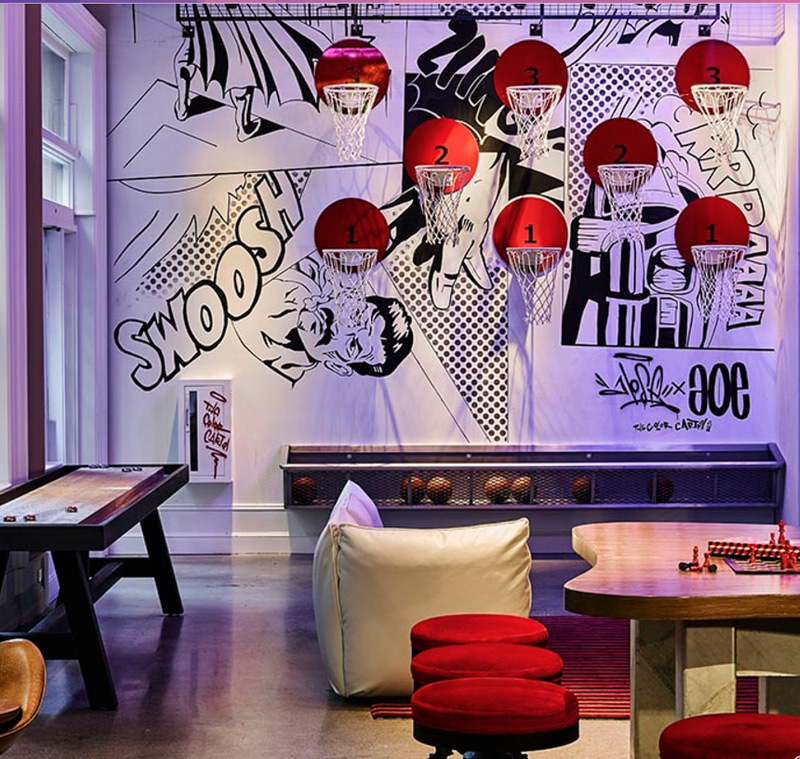 Set in downtown San Francisco, Hotel Zeppelin celebrates the city’s forward-thinking mindset. 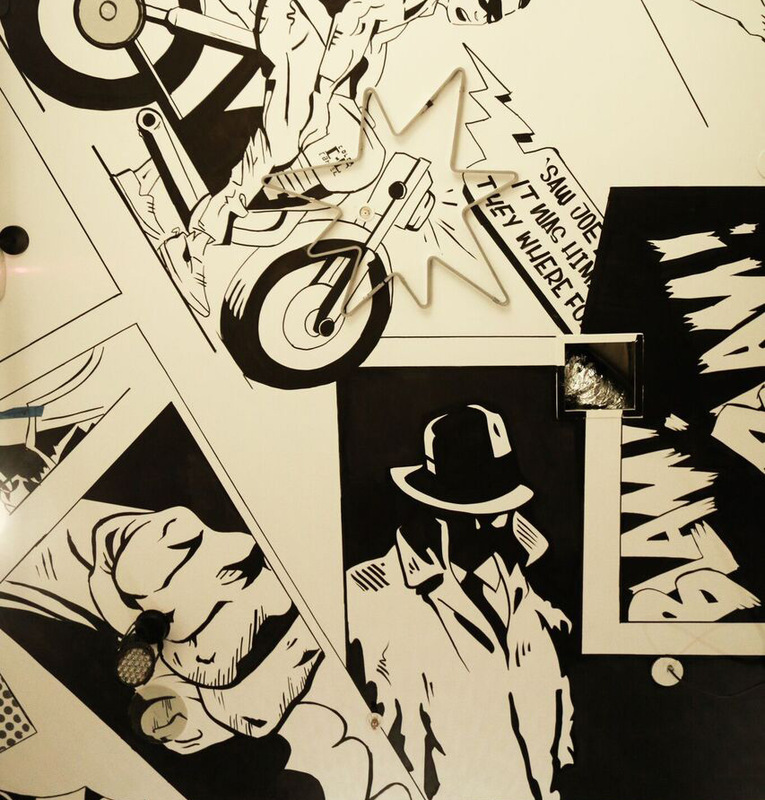 The art in this hotel transforms the space into a living story with a rebellious attitude. 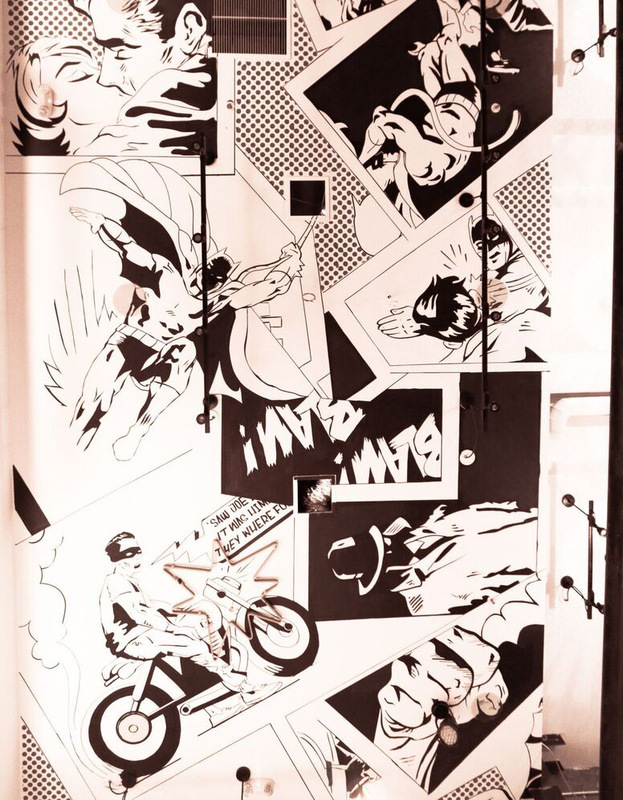 The most spellbinding work of art that we placed in the Zeppelin is the 4,000-square-foot hand-painted vintage comic book inspired ceiling. If Michelangelo and Marvel had a baby, this would be their Sistine Chapel.